Charming and unique carriage house with lovely walled Charleston garden courtyard - wonderful for enjoying the outdoor Charleston ambiance. Lovely plantings and a fountain complete the garden.Features of carriage house include unique entry way with fireplace and glass doors leading to garden, a chef's dream kitchen with spacious dining area as well as living area and a half bath tucked under the stairs.Upstairs is a fabulous master suite with full bath and substantial master closet. Another beautiful half bath adjoins the guest area - currently set up as a den/extra guest bedroom area with door to the upper balcony and another very spacious closet. This is a truly historic and unique property formerly used as a primary residence and more recently as a second home.This home is convenient to the entire downtown historic area… near the market and grocery store as well as just blocks from King and Meeting Streets and the best shopping and restaurants in town! 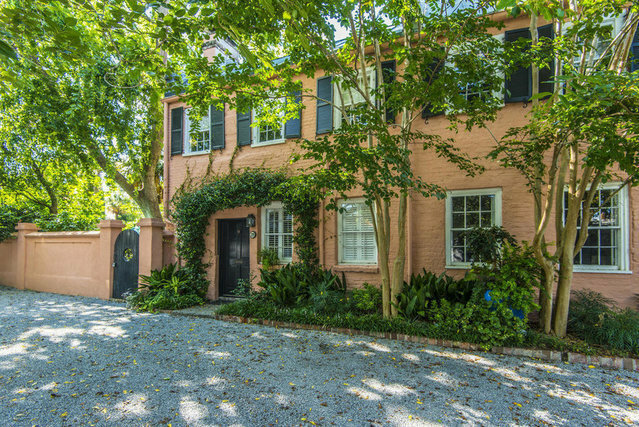 Don't miss this wonderful Charleston secret tucked away for tons of privacy!